Did you know New Mexico is second in the nation for senior hunger and senior malnutrition? About 85 percent of Silver Horizons’ clients are living on less than $750 a month. Many seniors in our community are struggling to get by on an income of less than $500 per month. Silver Horizons mission is to provide extra help for these extremely low income and at risk seniors in the greater Albuquerque area. 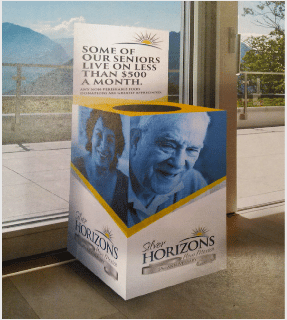 Silver Horizon’s senior clients need help with critical basic needs. Unfortunately, most indicators point to an increasing need as our population continues to age and the number of low-income seniors grows. 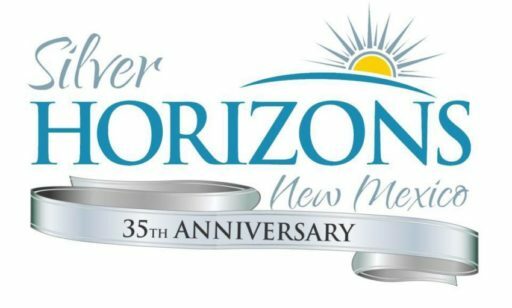 One great way you can help Silver horizons provide for extremely low income seniors in Albuquerque is hosting a food drive at your business. Hosting a food drive is a great team building activity and create connection in your community. 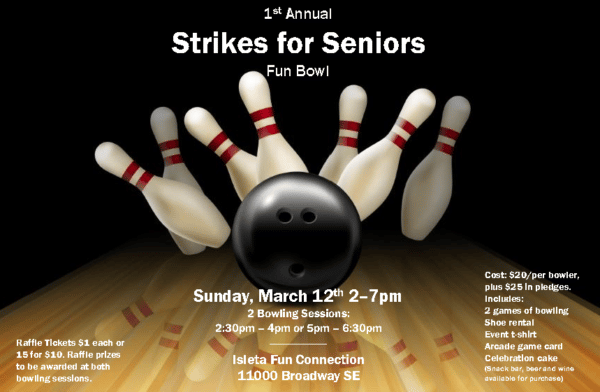 Silver Horizons is hosting Strikes for Seniors Fun Bowl on Sunday March 12th at Isleta Fun Center. Register as an individual bowler. Sponsor a team. A team of employees. A team of youth in your community. A team of seniors. Sunday, March 12, 2017 – 2:00 p.m. to 7:00 p.m. Proceeds from this special event help extremely low-income seniors meet basic needs, have access to nutrition, and maintain a decent standard of living.